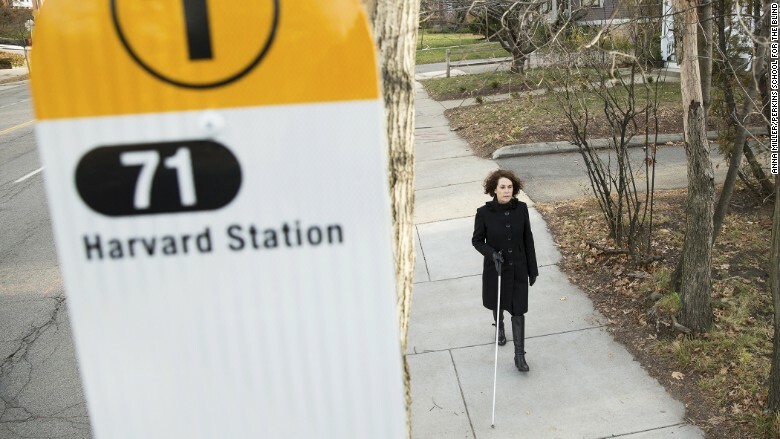 Joann Becker from the Perkins School for the Blind searches for a bus stop in Boston. Like many Bostonians, Joann Becker uses her smartphone to find the nearest bus stop. Unfortunately, GPS is only accurate give or take 30-feet, and unlike most people, Becker can't look up to see exactly where the bus is going to stop. Becker is blind.